When Kerrie Merz weighed 336 pounds, she dealt with knee pain every step of the way from her car to the door of the movie theater. Then there was the challenge of fitting into a seat. Merz had to struggle with lot of daily challenges before her weight loss surgery. She even sized up doorways before she walked through them. Overweight since third grade, she had gotten used to not fitting in. “By the time I was in middle school, I was shopping in the women’s section.” Merz recalls. High school fashion trends were off limits because they weren’t made in her size. It’s not that Merz didn’t want to lose weight. She certainly tried. The results were always pretty much the same. Merz would drop a few pounds, but then no matter how hard she tried, she couldn’t get her weight to budge a single ounce further. Merz was stuck trying to fit into a world where she was too big until she met bariatric surgeon Mark Colquitt, MD. Dr. Colquitt believed a loop duodenal switch (Loop DS) at Fort Sanders Center for Bariatric Surgery would be a good fit for Merz. In this procedure, the size of the stomach is reduced and part of the small intestine is bypassed. Part of the lower small bowel is looped to the stomach. 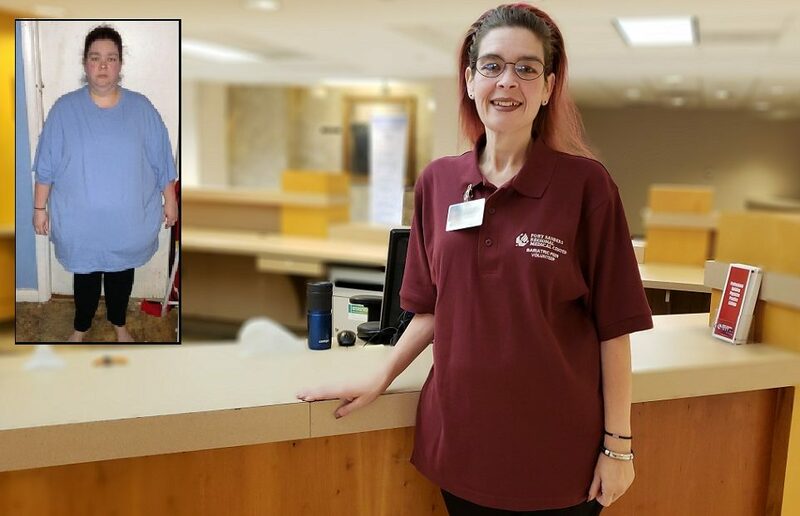 Two years after her surgery and more than 100 pounds lighter, Merz is excited about the way she looks and the way she feels. Today Merz works as a volunteer at Fort Sanders Regional. She offers valuable support to bariatric patients, and lets them know that everyone deserves a chance to fit in. If you are struggling to lose weight, bariatric surgery may be an option that can also provide benefits to overall health. For more information or to register for a bariatric seminar, call 865-331-BAR1 (2271) or visit fsregional.com/bariatrics.